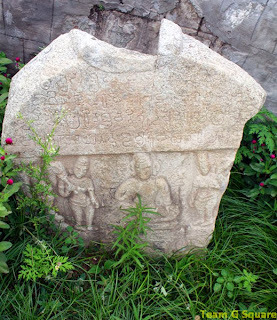 While zipping through country roads to reach Amrithapura, which is home to one of the most beautiful Hoysala temple, we stumbled upon a milestone having a familiar name of Hirenallur. On checking our travel diary, we realized this place too housed a Hoysala temple dedicated to Lord Mallikarjuna. As we had more than one option now, we were in a dilemma and as time was ticking, we had to decide quickly. We made a quick enquiry about the temple and decided to proceed as we heard it was a ‘not to miss’ temple. Not wasting much time, we headed towards this temple and in about ten minutes time reached this magnificent temple. Hirenallur is a small village of Tarikere Taluka of Chikmagalur district. The Mallikarjuna temple situated here is a very beautiful Hoysala temple lesser known to the world. There is very little information about this temple in the Internet and print media. 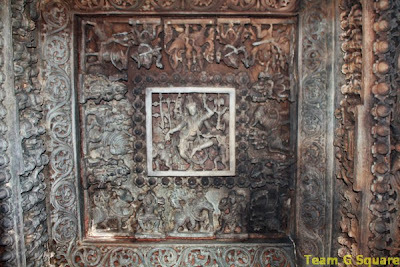 The temple is believed to have been built initially by the Gangas during the 8th century according to an inscription recently found here. Later the Hoysala king Ballala II renovated this temple and must have added the two cells to the main cell during the end of 12th century. 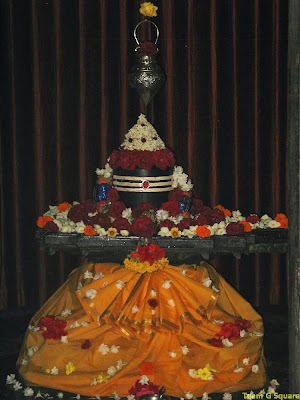 The temple is a trikuta with Shiva Linga, Keshava and Surya Deva adorning the cells. 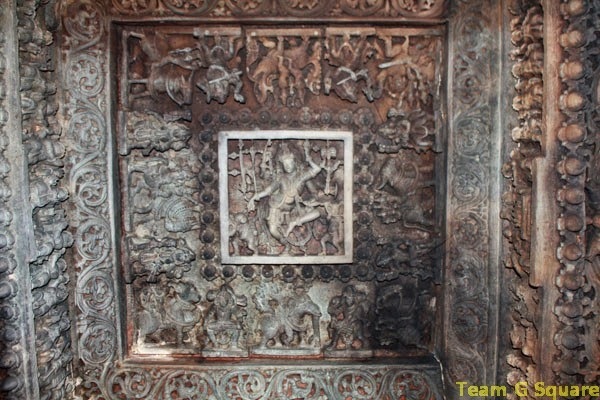 The central ceiling is a masterpiece with complicated carvings on it and overshadows the beauty of this temple. 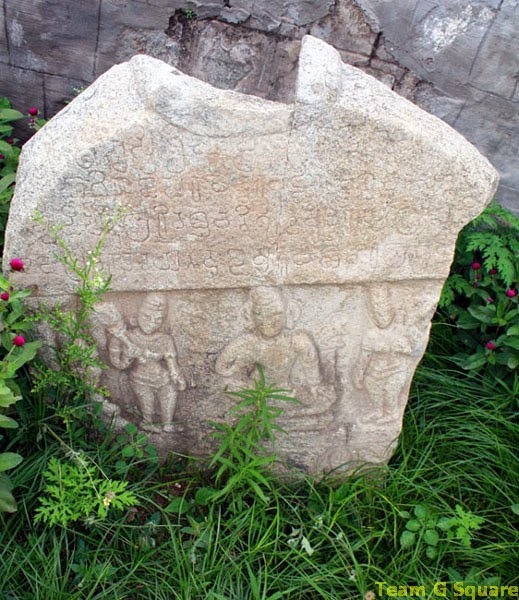 There are sculptures of Ganapathi and Sapthamatrikas in the sabhamandapa of the temple as usual. 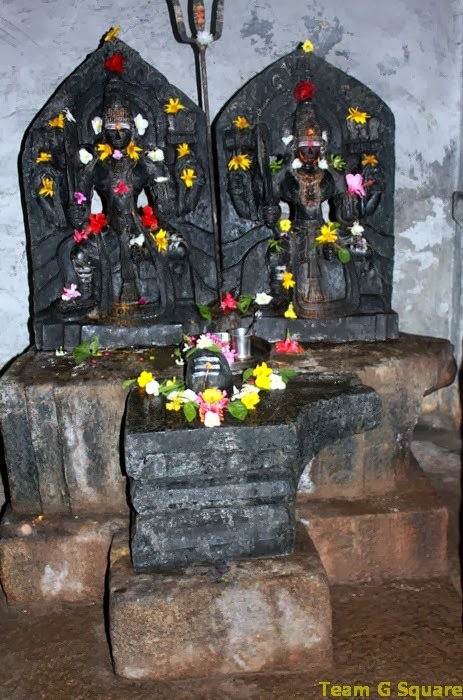 The three Shikaras of this temple are heavily decked with images of the various gods and goddesses on them. This temple has been renovated by a few keen locals with the help of Sri Dharmasthala Trust under the guidance of Dr.Veerendra Hedge. There is a big and beautiful garden around the temple. 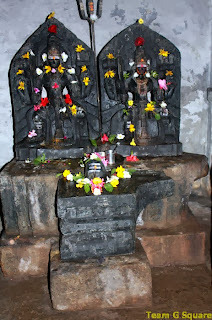 Another small temple adjacent to this temple is dedicated to Mailara Linga, housing two beautiful idols of Mailaras. On our way back, another small beautiful temple amidst a farm caught our eye. This one too was dedicated to Lord Shiva in the form of a Linga. Such a beautiful temple and the intricate carvings are incredible! Superb captures as always! Thanks for sharing! I hope you and your family have a great weekend!! Beautiful temple with amazing art, architecture & sculptures.Beautifully captured. Lovely frames! Hard to take some of them. I'm glad you decided to visit this beautiful temple and are able to share it with us. The carvings are absolutely fantastic. very good photography. looks like the temple has so many intricate structures and carvings. Beautiful temple. The craftsmanship in Hoysla temples is exceptional. Wonderful temple. Typical hoysala architecture. Thanks for sharing this. Great piece of artwork ! Nice post. There are around 26 places to see in Chikmagalur. The town is also home to the Kondadarama Temple, which is a symbolic blend of Hoysala and Dravidian styles of architectures. Check out best hotels in Chikmagalur also.